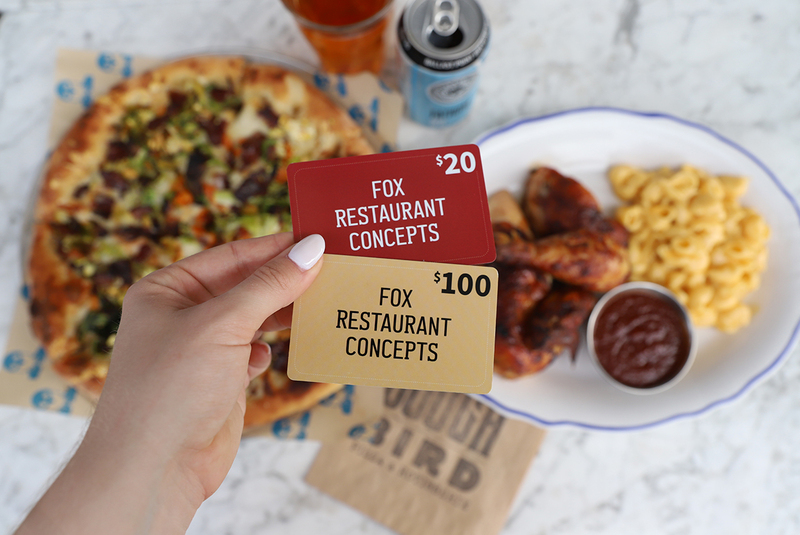 A Fox Restaurant Concepts gift card goes beyond a great meal. It’s the perfect gift for anyone in your life who loves to get together over great food in a warm and welcoming atmosphere. Our restaurant gift cards are available in denominations of $25, $50, and $100. You can select either a digital or physical card that is redeemable at any Fox Restaurant Concept nationwide. You can also order by calling 480.905.6920 or in store at any location. Fox Restaurant Concepts gift cards are a gift of shared moments and laughs, happiness and joy, and most importantly - togetherness over great food. Redeemable at any of our 11 concepts at over 50 locations. Blanco, Culinary Dropout, The Henry, Flower Child, North, Zinburger, Doughbird, Olive & Ivy, The Greene House, The Arrogant Butcher and Wildflower! North is devoted to perfecting the art of handmade pizza, pasta and Italian favorites, made just for you daily. With our restaurant gift cards, you can give your friends and loved ones the same experience: real handcrafted Italian food made from scratch. 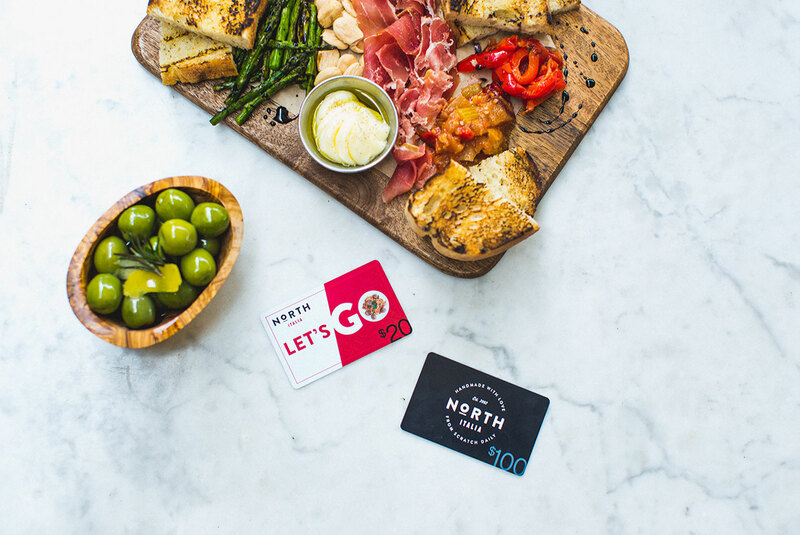 Gift cards are redeemable at any of our North locations, as well as all Fox Restaurant Concepts' locations. 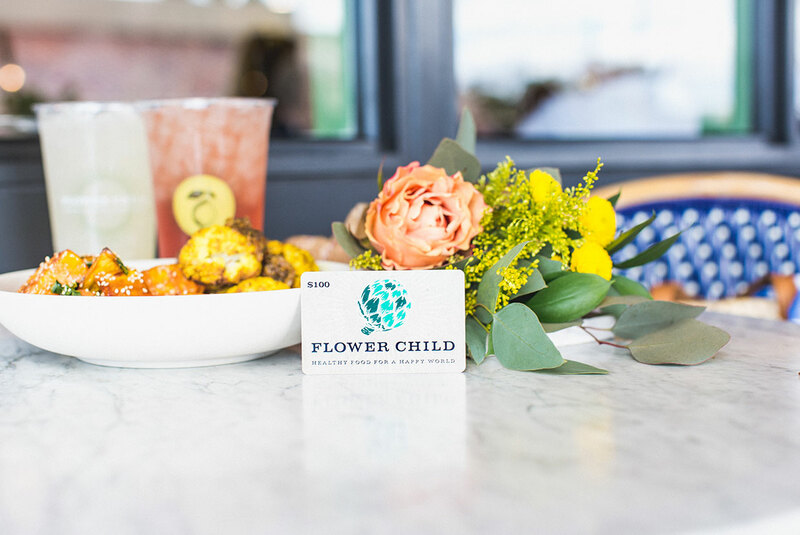 Give the gift of delicious, healthy, and soul satisfying food with a gift card from Flower Child. Your favorite people will love the wholesome menu devoted to veggies, grains, fruits and healthy proteins served up with happy vibes and warm smiles. Gift cards are redeemable at any of our Flower Child locations, as well as all Fox Restaurant Concepts' locations.